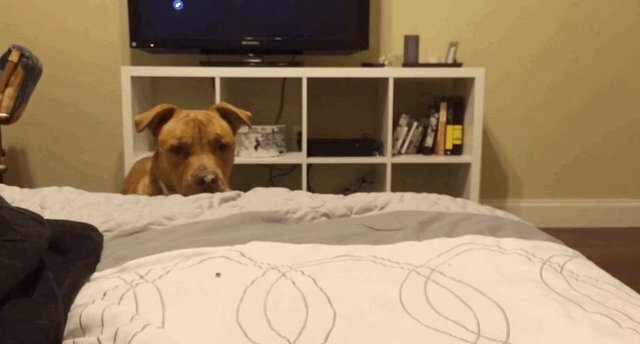 Tyson is determined to protect his home from a teeny tiny ladybug he's spotted on the bed. 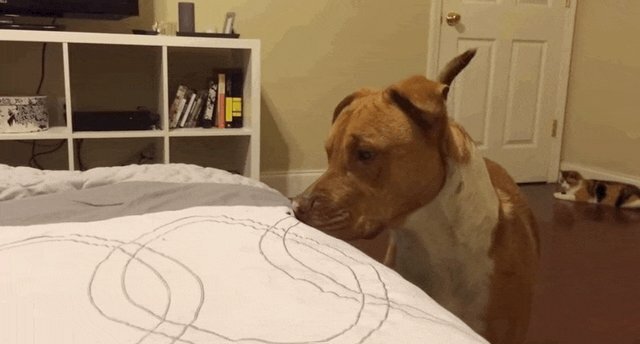 He eyes it from close up. 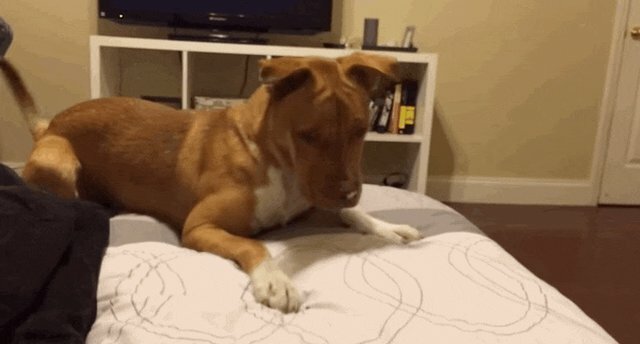 He tries pouncing on it. 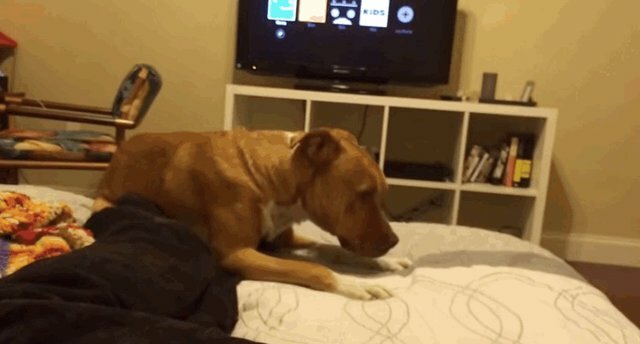 He even gets his paw over it, but that sneaky little bug gets away again. 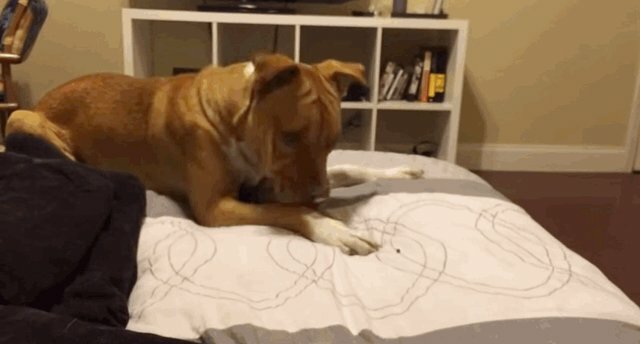 He made a valiant effort, but that tiny ladybug was just too much for him. 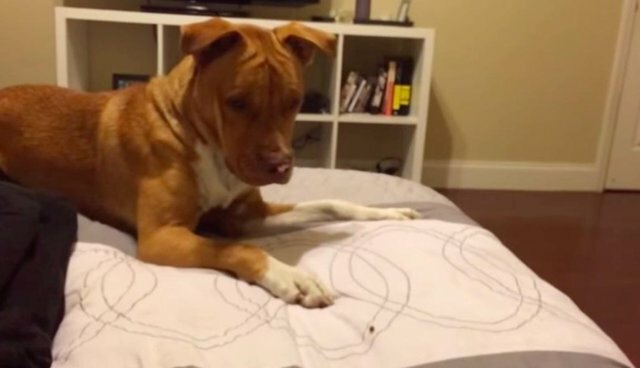 Apparently some pit bulls can't even harm a ladybug.